Start as a highly-populated country, Vietnam lies within the Tropics with many types of insects harmful to public health. As businesses understand consumer tastes, more and more insecticidal chemicals have been produced. However, the biggest problem facing them is how their products can be legally sold. Ha Le with many years experienced in product publication hereby send our valued customer the detailed procedures on circulation registration of insecticidal chemicals and preparations. - Chemicals and preparations with valid circulation registration numbers granted by the Ministry of Health (the Health Environment Management Agency) requested for additional circulation registration under Points e. f or g. Clause 2, Article 6 of this Circular. - Chemicals and preparations with the circulation registration numbers granted by the Ministry of Health (the Health Environment Management Agency) to be about to expire requested for circulation re-registration under Point b, Clause 2, Article 9 of this Circular. - Chemicals and preparations without circulation registration numbers to be imported in large volumes for exterminating insects or bacteria on board aircraft. - Chemicals and preparations prior to official circulation registration. - Chemicals and preparations currently in circulation in Vietnam. - A copy of the registrant's business registration certificate, investment certificate or establishment license, for registrants being representative offices. 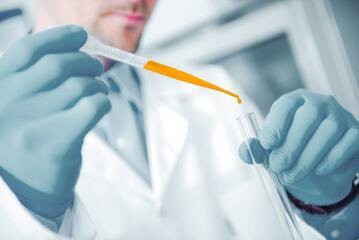 - Results of testing of the composition and contents of active ingredients of the chemical or preparation. - The producer's written environmental protection commitment or decision issued by a competent state agency approving the producer's environmental impact assessment report. - The specimen label and its content registered for circulation in Vietnam. - In addition to the papers specified above, a valid certificate of free sale and letter of authorization granted by a competent authority of a country permitting the circulation of the chemical or preparation requested for registration is required. - Evaluate impacts and benefits of products when reaching consumers. For circulation of an imported chemical or preparation. In addition to the papers specified above, a valid certificate of free sale and letter of authorization granted by a competent authority of a country permitting the circulation of the chemical or preparation requested for registration is required. Please contact for further consultancy and detailed quotations!